Watching the cherry blossoms bloom is the absolute favorite pastime for the Japanese in spring. You will find parks, forests, fields, etc., filled with picnic blankets and people. 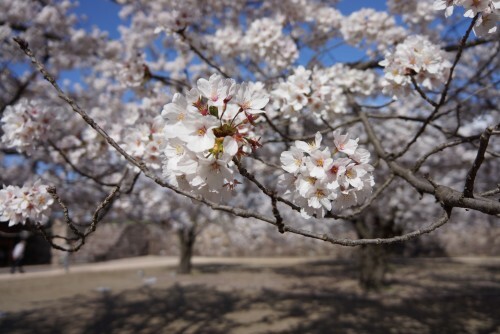 If you’re in Nagano City in spring, we would recommend you to join the cherry blossom viewing for a bit. The atmosphere is absolutely lovely and you will get to experience one of the most Japanese things ever. 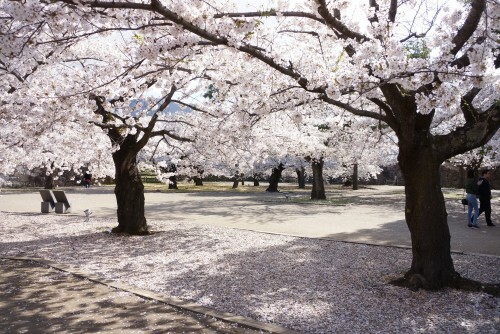 One of the nicest places to see the cherry blossoms in Nagano City is Jouyama Park. The park has plenty of blossom trees to enjoy during the day and during the night. See to the left for directions to the park. 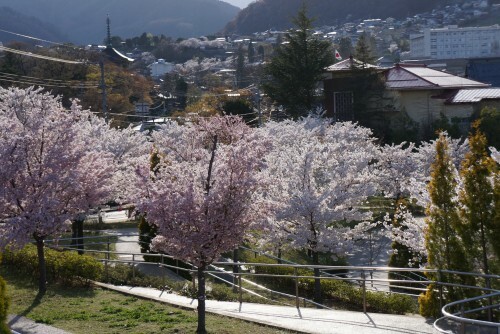 Another area within Nagano City that is famous for its colorful blossom trees is Matsushiro. The park surrounding the castle ruins of the Sanada samurai clan holds over a hundred trees and is a popular spot for locals to see the pink colored flowers. If you want to know more about places where the cherry blossoms bloom beautifully in Northern Nagano Prefecture, take a look at this blog. Some of the places can be hard to get to so if you’d like to be accompanied to the cherry blossom sites, please visit our 1-day Snow Monkey & Cherry Blossom Tour. Jouyama Park: When exiting the Zenko-ji Temple on the right side you will only have to walk for a minute or two and then will will see Jouyama Park on your left hand.